Forecasting the wind for tomorrow is a daily challenge to wind farm operators in places like the Columbia River Gorge in the Pacific Northwest. 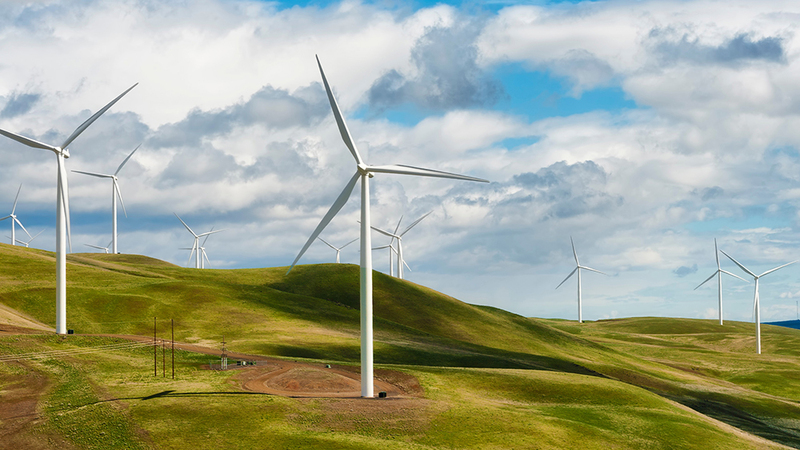 To more accurately predict wind in complex terrain, researchers from the U.S. Department of Energy’s (DOE) Argonne National Laboratory partnered in a project called Wind Forecast Improvement Project II (WFIP 2). With the data obtained from this four-year project started in 2014, researchers have begun new projects to make wind forecasting more reliable, bolstering wind’s position as a renewable energy resource. Recent research has been focused on a wide range of wind-caused phenomena. This $5 million-dollar project, funded by the DOE, was coordinated by Vaisala, a leading environmental and industrial measurement company. Collaborators included the National Oceanic and Atmospheric Administration (NOAA), four DOE national laboratories, including Argonne, as well as university and industry partners. Scientists completed the largest-ever deployment of technologies for measuring wind speed and wind energy generation by May 2017, moving 200 instruments into a 50,000 km2 expanse of the Columbia River Gorge, spread across northwestern Oregon and southern Washington. Instruments included SoDAR (Sonic Detection and Ranging), LiDAR (Light Detection and Ranging), wind-profiling radars, radiative flux systems and microbarographs. Members of Argonne’s Environmental Science division have operated, monitored and serviced many of the instruments used throughout the field observation portion of the project. ​“Our main job was to operate these instruments to collect the data over the course of the study. Now we are analyzing that data and trying to understand what it measured, along with the other data that has been collected,” said Rao Kotamarthi, Argonne’s principal investigator for the project. Researchers are seeking to better understand what influences wind in mountainous regions. The goal is to build numerical models that account for complex wind patterns and improve short-term wind forecasting for wind turbines at various elevations. What scientists know about wind behavior does not apply to regions like the Columbia River Gorge due to its complex terrain. So this project (and further research) is pivotal for better forecasts. Kotamarthi explained that this difference occurs due to inconsistent ground heating. High-quality data was essential. So researchers developed automatic quality control procedures through the summer of 2017, which they used on 18 months of multi-instrument data. (They also visually inspected it to remove numerical outliers.) Researchers then sent this data to the Data Archive and Portal at DOE’s Pacific Northwest National Laboratory, where anyone can access and use it. Scientists hope this step will heighten and expedite new findings for improving wind energy production in regions of complex terrain. Argonne researchers continue to analyze and use data obtained from WFIP 2’s field campaign. For example, they have developed a boundary layer height product, which is a critical variable in observational studies and model simulations for WFIP 2. Similarly, a recent funding opportunity allowed researchers to begin analyzing the occurrence of wind streams known as low-level jets. Given that many wind energy facilities on the West and East Coasts lie in unique terrains, this research is pivotal for wind plant operators across the country. These forecasts similarly influence the wind energy market, because power prices are set depending on how much energy can be produced from wind and other renewables within a 24-hour period. “With improved short-term wind forecasts, wind energy operators will be able to maximize wind energy production without depending on steady non-renewable energy sources. This will, in turn, lower the costs for the consumers,” Muradyan said. “Even improving weather forecasts by 5 to 10 percent makes a substantial difference,” Kotamarthi said. This project is part of the DOE’s Atmosphere to Electrons initiative and aligns with the department’s mission to increase wind-based energy to 10 percent of total U.S. energy usage by 2020. “The Second Wind Forecast Improvement Project (WFIP 2): Observational Field Campaign” has been submitted to the Bulletin of the American Meteorological Society. This research was funded by the DOE Office of Energy Efficiency and Renewable Energy. The more we know about how wind blows, the better we can harness the potential of wind energy. As part of the Wind Forecast Improvement Project II (WFIP 2), Argonne researchers used the ALCF's Mira supercomputer to improve wind forecasting in complex terrains.